Set mere years in the future, giant, blind creatures have killed most of the world, the film follows a small family surviving in rural New York. 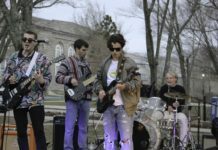 Krasinski grasps audiences right off the bat by establishing the rules, and the risks, of this post-apocalyptic world through a wordless opening sequence. While they do not know where these monsters came from, this family knows one thing, if they hear you, they hunt you. The creatures’ hearing is attuned to the highest possible levels and they arrive seemingly instantly to attack the slightest sound. As a result, the family has moved into their barn where it’s easier to live in silence without the creaky floorboards or doors of the farmhouse. While the creatures are lurking slightly out of sight for much of the film, it’s eerily satisfying when Krasinski finally brings them into focus. He shoves the monsters right in the audience’s faces once the action intensifies for the family. The creatures’ truly terrifying design, which looks almost like a cross between the “Stranger Things” Demogorgon and Xenomorphs from “Alien,” is simultaneously creepy and creative as you both see and hear them move about. The effects team managed to create a creature that’s unfortunately hard to get out of your head when you try to sleep at night. Not only did Krasinski direct this original creature feature, but he co-wrote the film with Bryan Woods and Scott Beck, and co-stars alongside Emily Blunt, his wife in both the film and real life. 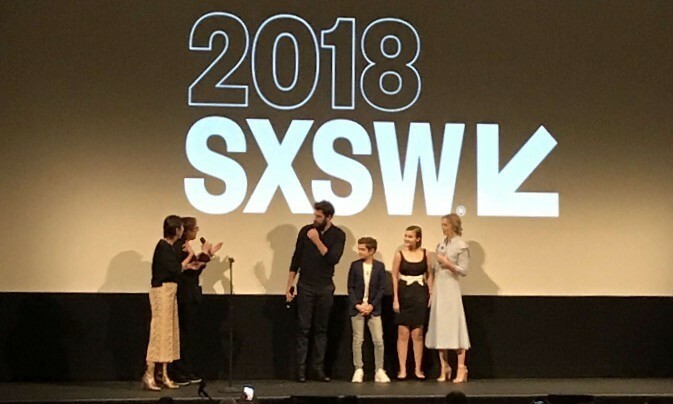 The film also stars British actor Noah Jupe (“Suburbicon”) and hearing-impaired actress Millicent Simmonds (“Wonderstruck”) as two of their young children. 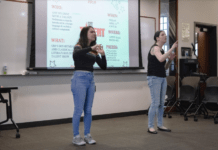 Since their daughter Regan (Simmonds) is deaf, the whole family is fluent in American Sign Language, which has certainly helped them communicate and survive so much longer than the rest of the world. When the movie cuts to Simmonds’ point of view, the sounds of the woods and farm switch, not actually to silence but to a dull roar, as if someone had turned up a white-noise machine way too loud. 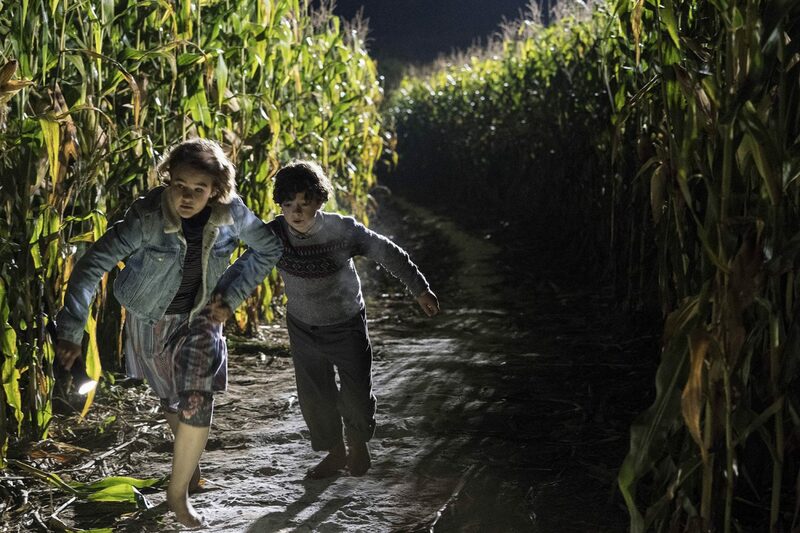 Left to right, Millicent Simmonds and Noah Jupe in ‘A QUIET PLACE’ | photo from Paramount Pictures. As with most horror films, much of the excitement comes from the anticipation of what’s about to happen, but there are many well-earned jump scares and emotional moments throughout the film. 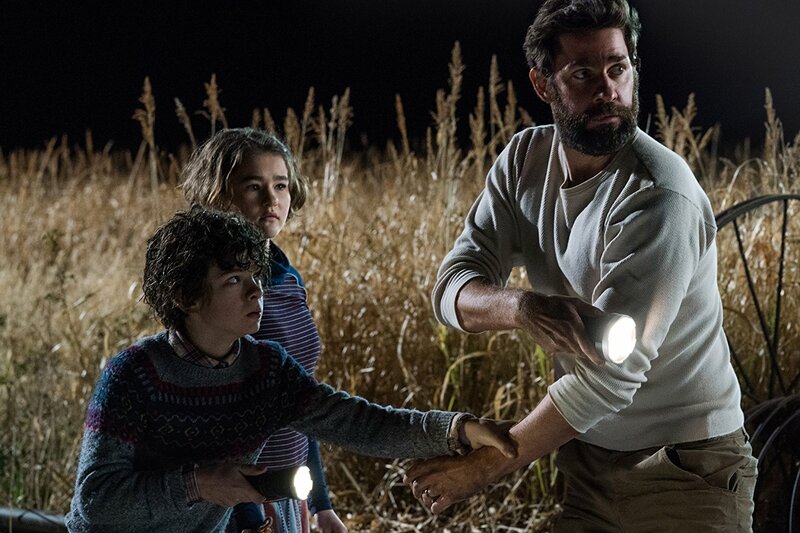 As though it’s not enough to just be a fun and scary time, weaved into “A Quiet Place” is a touching family story. We’re quickly invested in their lives, their love, and their survival. 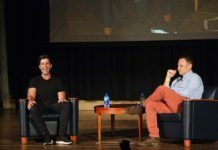 Each actor gives a memorable performance, with Blunt and Krasinski evoking the loving and protective woes of parents in this horrific world, but it’s the children who stand out. Jupe and Simmonds deliver palpable emotion in their roles, despite not being able to speak. Simmonds conveys such a clear combination of anguish and rebellion as Regan has a strained relationship with her father. Jupe maintains a mix of wide-eyed courage and fear. Their realism will grip you and make you pray for these young kids. The love we quickly develop for this family is what makes the film so effective. It grounds the film and makes the risks feel personal as they fight for each other’s lives. “A Quiet Place” proves to be a genuinely effective horror film and master of sound design. Hearing the faint footsteps on sand overrun by the clacking of the creatures as they approach will keep your heart racing. You’ll be biting your tongue to stifle your screams for fear of calling the monsters toward the family on screen, and you’ll want to scream a lot. Review of "A Quiet Place"
Rating: PG-13 - Runtime: 1h 30m - Genre: Drama, Thriller, Horror - Official synopsis: A family is forced to live in silence while hiding from creatures that hunt by sound.